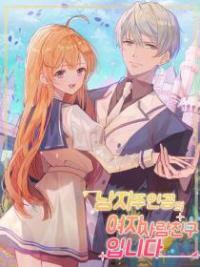 You’re reading novel The Demonic King Chases His Wife: The Rebellious Good-for-Nothing Miss Chapter 1622 online at LightNovelFree.com. Please use the follow button to get notification about the latest chapter next time when you visit LightNovelFree.com. Use F11 button to read novel in full-screen(PC only). Drop by anytime you want to read free – fast – latest novel. It’s great if you could leave a comment, share your opinion about the new chapters, new novel with others on the internet. We’ll do our best to bring you the finest, latest novel everyday. Enjoy! Now, everyone could hear the sizzling sound of being barbequed coming from the body of the Hidden-eyed Purple Spiders' king. Seemed to be the burnt smell from being roasted. Seeing the king of the Hidden-eyed Purple Spiders being burned into black coal, immediately, all the Hidden-eyed Purple Spiders stopped their attack. Because without a commander, right now, they don't know what they ought to do okay? "It seems as if they have all become stupid?" 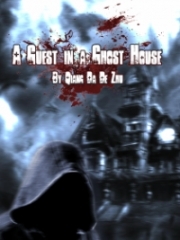 Beichen Ying looked at that group of Hidden-eyed Purple Spiders looking at each other in dismay not far away. He was suddenly speechless. How was it that these Hidden-eyed Purple Spiders looked so stupid? Just when Beichen Ying was uncertain, Zi Yan cried out in surprise: "Hey, these Hidden-eyed Purple Spiders all ran away! What to do? To chase or not?" "Running away is best, why chase them?" Luo Haoming frowned in disapproval. Zi Yan sent him a glare then used an inquiring gaze to look at Su Luo. Su Luo looked at that pile of little stones in her s.p.a.ce, counted it slightly and was very satisfied with the number, so she said: "Since they ran, then forget it. We should quickly leave this place to avoid side issues that might arise." Although it was a bit of a pity to watch the Hidden-eyed Purple Spiders run away, however, Su Luo also knew that this forest was deep and strange, no one knew when some unforeseen event would occur. It's best to hurriedly leave this place. Moreover, while Su Luo felt those little stones were useful, but even she couldn't say what use they had. As a result, everyone unanimously decided to quickly leave here. Up ahead, a precipice ended this road. The other side was at a distant far away outside. Above the precipice, a deep cold hurricane rolled by. Wanting to fly through the sky to pa.s.s over was simply impossible. Fortunately, between the two precipices was a bridge made of iron chains. This shouldn't be called a iron chain bridge, because there was a single iron link that extended across between the two precipices. It floated about in the hurricane force winds. Seemingly at any moment, it would be blown apart. If it was an ordinary person, maybe their complexion would pale from being frightened and directly roll down from the precipice. Fortunately, this time, none of the people who came were ordinary. So, when they saw this tiny iron wire, they only frowned. "I'll go first." 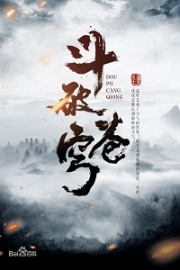 Dongfang Xuan coldly humphed. Directly wanted to step on the iron wire. "Out of the question!" Beichen Ying's face was full of disapproval, "If you went over and then cut off the iron wire? Then, what are we the people behind you to do? At that time, wouldn't it be you alone who will get the treasures?" Beichen Ying asked the question in everyone's heart. Zi Yan's face was full of not being convinced: "It's best if First Senior Brother waits to be the last to go. If you walk in the front, we won't feel a.s.sured." "You, this eat the inside and collide with the outside loathsome girl! There isn't a place for you to talk here okay?" Dongfang Xuan sent an annoyed glare at Zi Yan. "Here is the place for her to speak, but whether it has a place for you to speak is difficult to say." Su Luo had both hands crossed over her chest and coldly smiled, "Don't you forget who discovered this Secret Roaming Dragon Territory." This was discovered by Grandmaster Rong Yun, therefore, as Grandmaster Rong Yun's direct disciple, Su Luo absolutely had the authority to speak. "You, this loathsome girl, see how long you can be so arrogant!" Dongfang Xuan was helpless, so he could only yield. He indeed had some restrained fear for Grandmaster Rong Yun, moreover, Nangong Liuyun was at his side. Now, the Nangong Liuyun that had advanced to the Commander rank had the strength to dealt him a fatal blow. Therefore, even if Dongfang Xuan was a dragon, he still needed to lay low. After everyone discussed this, they decided both sides would walk based on a sequence. First was Beichen Ying, then Li Aochen. After, was Zi Yan, then Luo Haoming. In the end, on this side of the precipice, only Su Luo, Nangong Liuyun and Dongfang Xuan remained. You're reading novel The Demonic King Chases His Wife: The Rebellious Good-for-Nothing Miss Chapter 1622 online at LightNovelFree.com. You can use the follow function to bookmark your favorite novel ( Only for registered users ). If you find any errors ( broken links, can't load photos, etc.. ), Please let us know so we can fix it as soon as possible. And when you start a conversation or debate about a certain topic with other people, please do not offend them just because you don't like their opinions. You're reading The Demonic King Chases His Wife: The Rebellious Good-for-Nothing Miss Chapter 1622. This novel has been translated by Updating. 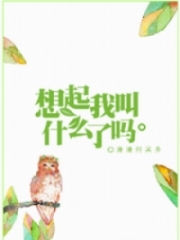 Author: Su Xiao Nuan,苏小暖 already has 1326 views. Current Time is Apr-22-2019 12:10:04 PM.